Look, I gotta tell you, this makes my heart absolutely soar. Now, you’ll notice right off that Giella opted not to try to emulate Adam West and Burt Ward’s likenesses. And you know what? I DO NOT CARE. Just seeing the classic New Look Batman and Robin back on the cover of a comic book in 2018 is an enormous treat — and good on the folks who decided to bring the 90-year-old Giella into the fold for this wonderfully retro project. Giella, of course, was one of the Caped Crusaders’ top inkers in the Silver Age, best known for his work with Carmine Infantino. 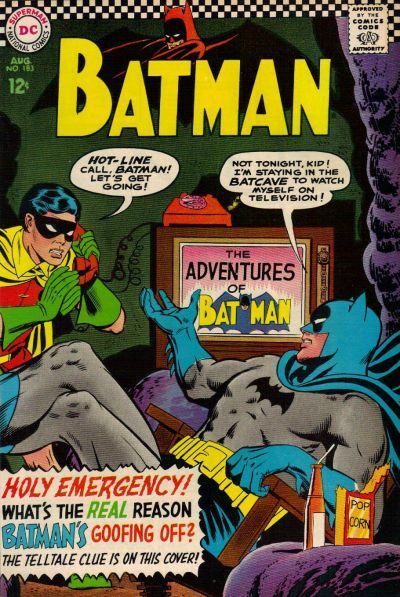 This is the Dynamic Duo fans were reading when Batman ’66 ruled the airwaves. It’s fantastic to see them back, even for just a moment. Anyway, this is the third cover reveal for Issue #6, which is due in January. We’ve got three more to go between now and Tuesday. 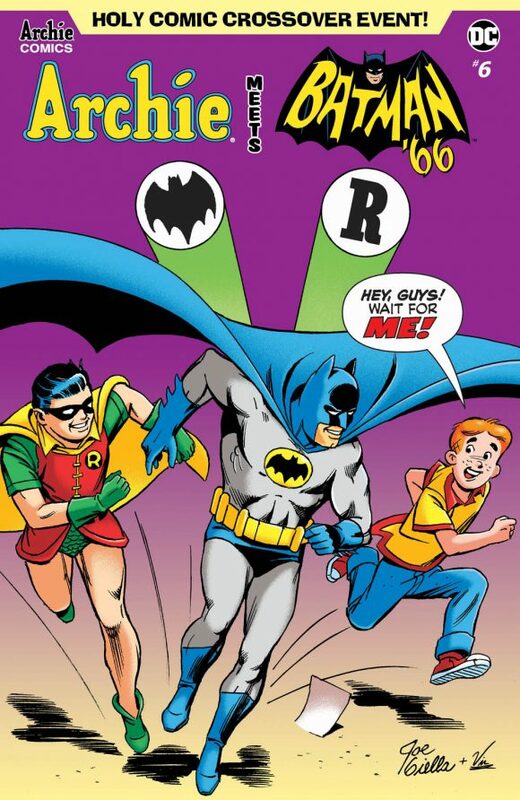 FIRST LOOK: The Batcopter Soars on Mike Allred’s ARCHIE MEETS BATMAN ’66 #6 Cover. Click here. FIRST LOOK: Julie Newmar Stars on Greg Smallwood’s ARCHIE MEETS BATMAN ’66 #6 Cover. Click here. Great to see a Legend put his stamp on a iconic series like Archie !! Beautiful work! I’m so proud to say that Joe was my personal teacher and mentor but most of all, friend. I miss you, Joe!!! I always love your work!